Our pets do so much for us. Besides giving unconditional love, their daily antics bring joy and laughter to our lives (not to mention some great Instagram pictures!). With their wagging tails, sweet purrs, and cute faces, our pets certainly give us something to look forward to at the end of a long day. Studies show that pet ownership even contributes to better health and longevity. With all these benefits, you might be looking for a special way to show your pet how much you appreciate them, and a pet birthday party may be just the ticket! 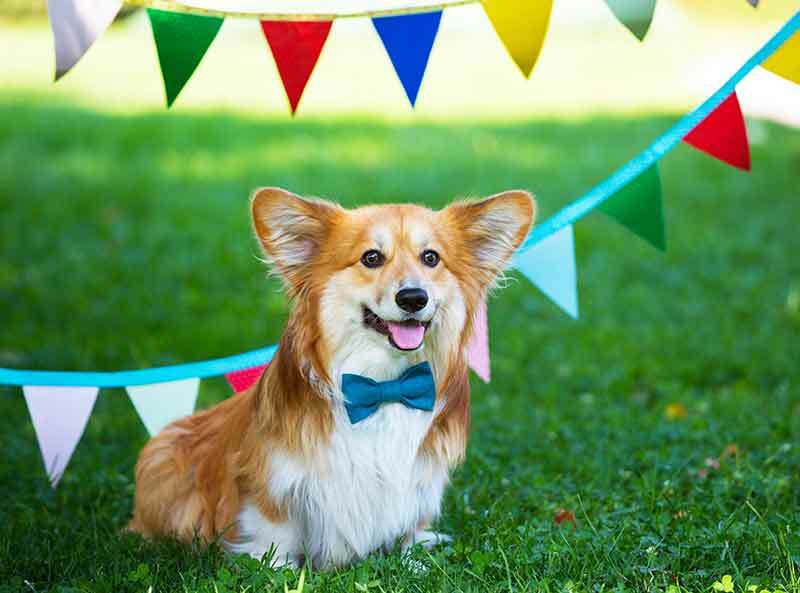 Guests – The guest list is an important aspect of any dog birthday party. Social dogs will enjoy the company of other friendly canines they already know. Make sure the owners stay with their dogs rather than drop them off (the more people to supervise, the better!). Venue – Weather, space, and the amount of dogs in attendance all play a role in deciding where to hold your party. Groups of medium to large dogs tend to do better in a fenced in yard or other secure outdoor space. Smaller dogs may be ok playing indoors. Local parks or dog-friendly venues may also be good options if you’re short on space at home. Theme – For some party planners, choosing a theme is the most exciting part of the prep work. Luckily, pretty much anything goes when it comes to a pet birthday party. Consider superheros, animal prints, (dog) yoga, etc. Food – A dog-friendly cake is a must. Research recipes online or place an order with a local dog bakery. If you’re going to offer treats, make sure they’re healthy. If you’re short on time or culinary skills, simply set out some carrot sticks and apple slices or other dog-friendly people food. Lastly, be sure to provide plenty of bowls of water! When it comes to cat birthday parties, things may need to be a little more low-key. We don’t recommend inviting other cats to share in the festivities, but that doesn’t mean there can’t be a human guest list. Only invite people who know and love your cat, and serve plenty of delicious food and drinks. If your pet is willing, try making an adorable DIY party hat for them (hopefully it stays on long enough for a picture or two!). If your pet enjoys catnip, treat them to a pinch, along with a new toy. A scrumptious cat birthday cake followed by a satisfying snuggle in a patch of sunlight can be the perfect way to end the day. Whether you’ve been partying with a raucous group of canines or helping your cat enjoy their new interactive toy, everyone will probably need some down time at the end of the party. Snuggle up together with your favorite pet-themed movie (we suggest Milo and Otis or Babe), and simply bask in each other’s company – after all, love is one of the best gifts you can give your pet! Have you thrown a pet birthday party of your own? We’d love to hear about it during your next appointment. In the meantime, please don’t hesitate to contact our team with any questions or concerns.